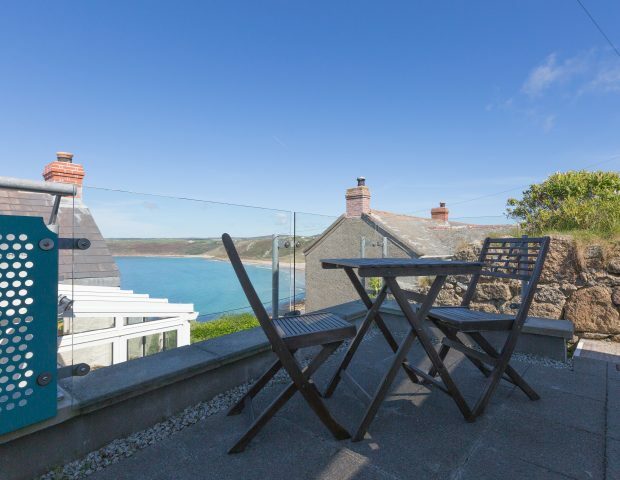 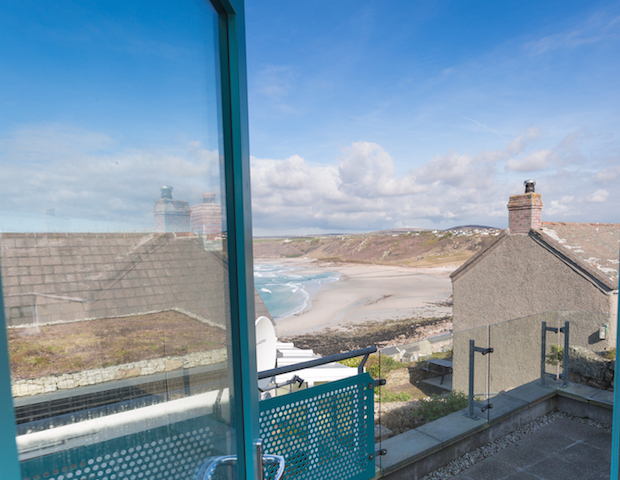 Top Cottage is a fantastically stylish house occupying a lovely spot overlooking Sennen Cove and Whitesands Bay towards North Rocks and Gwynver. 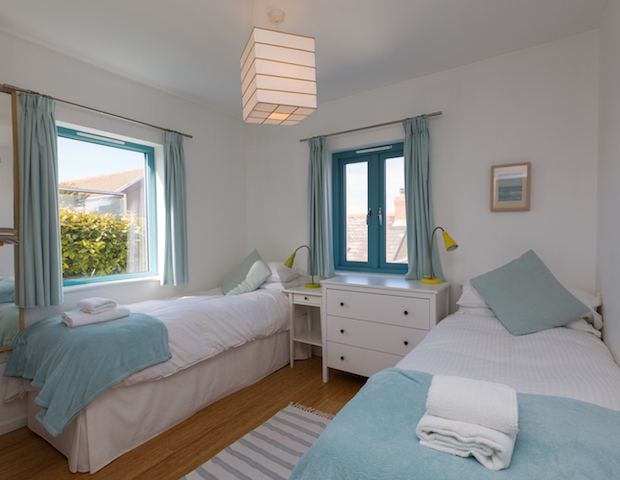 Sleeping 4 people, with one master double room and the second bedroom having options for either a double or twin, Top Cottage offers a great location for a family beach holiday or an escape from day to day life. 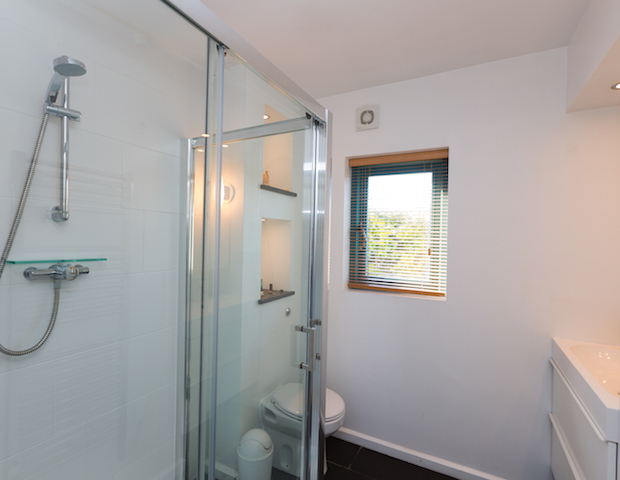 The bathroom is modern with a double walk in shower, basin and WC. 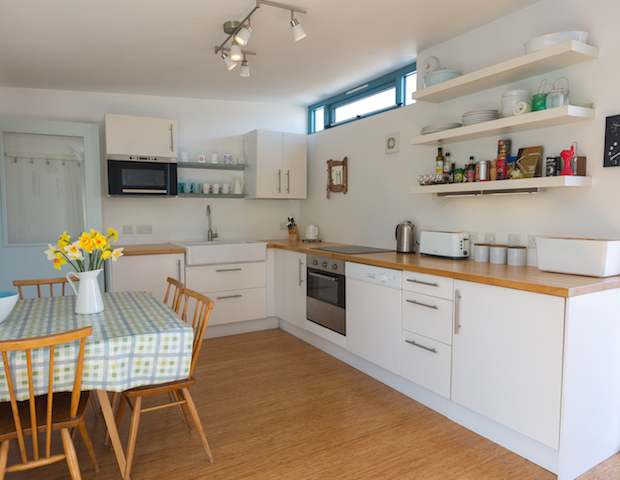 The kitchen is well equipped with oven and hob, microwave and dishwasher. 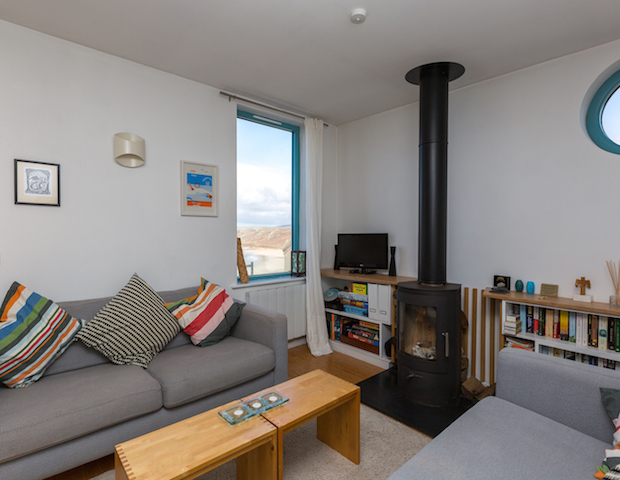 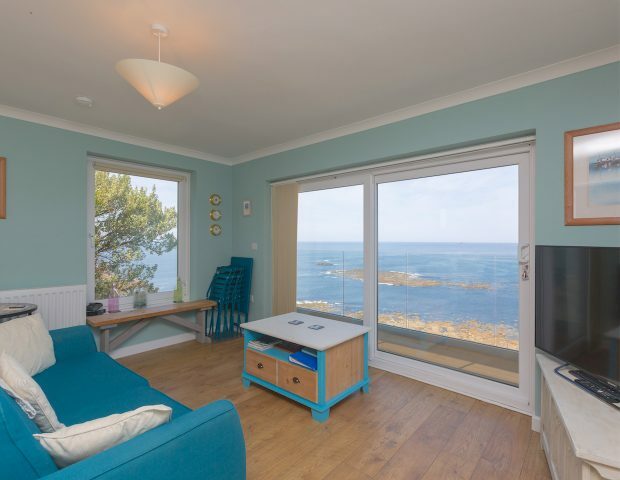 The open plan space with the lounge and woodburner means cooking, dining and relaxing is a pleasure and with doors opening out to the seaside balcony or the sunny patio behind you have super spots for alfresco dining. 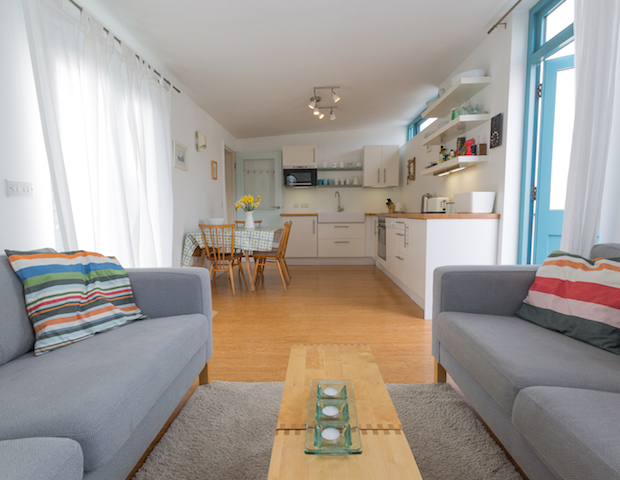 The cottage offers WIFI and has TV with DVD player and a radio. 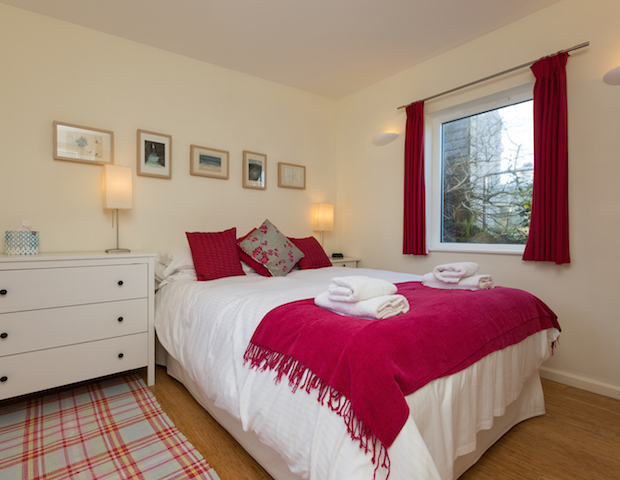 All bed linen and towels are provided for your stay and there is car parking for one car. 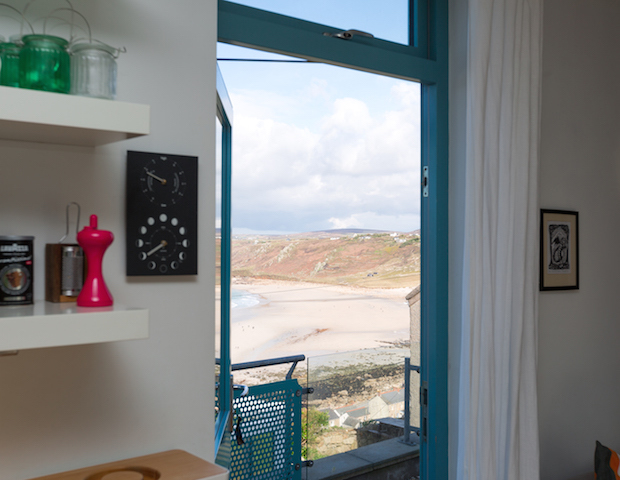 There is a washing machine for guests use. 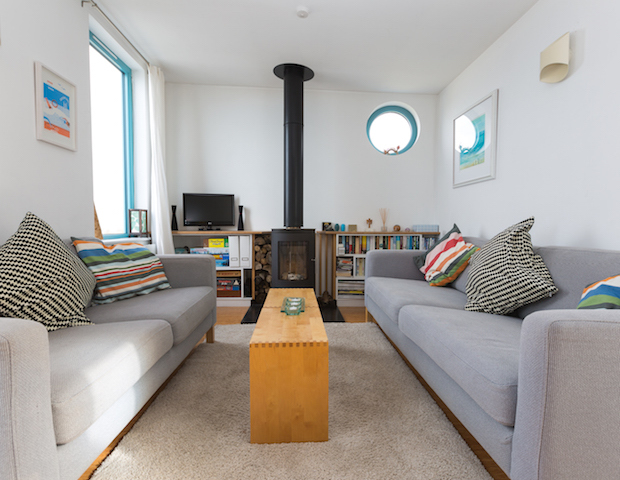 For cosy winter breaks the woodburning stove is fantastic and there are also electric panel heaters in the bedrooms. 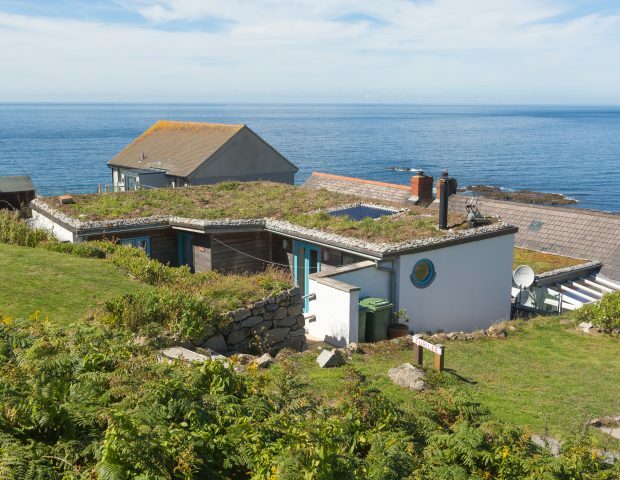 Solar panels provide hot water with an immersion heater back up. 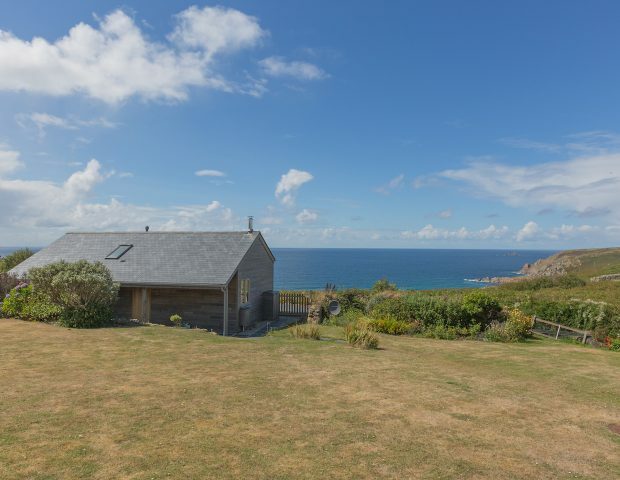 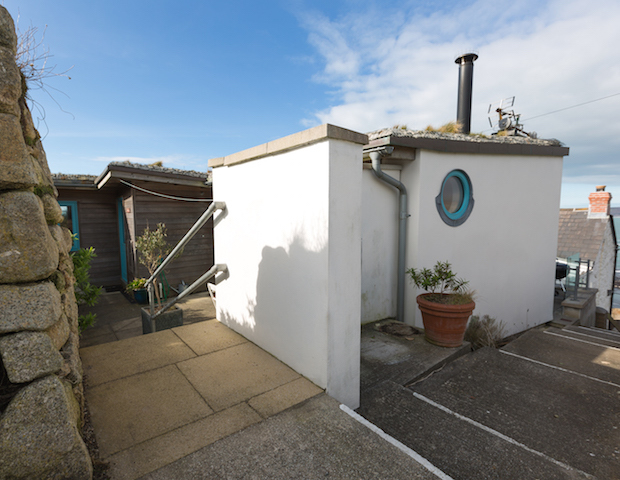 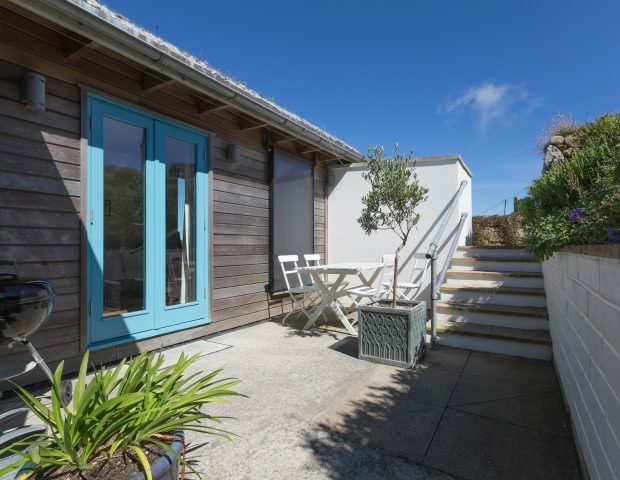 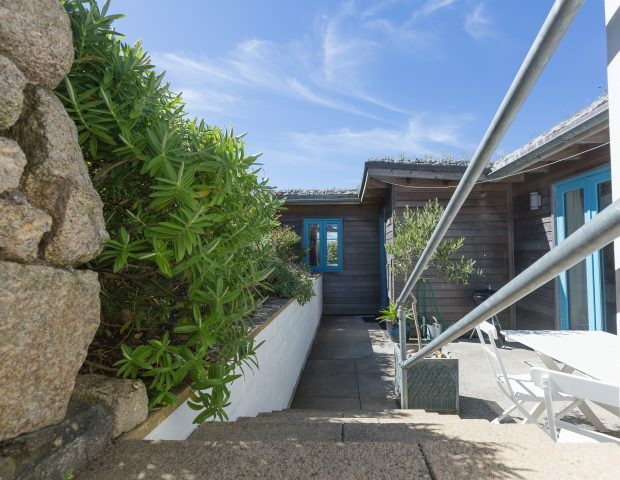 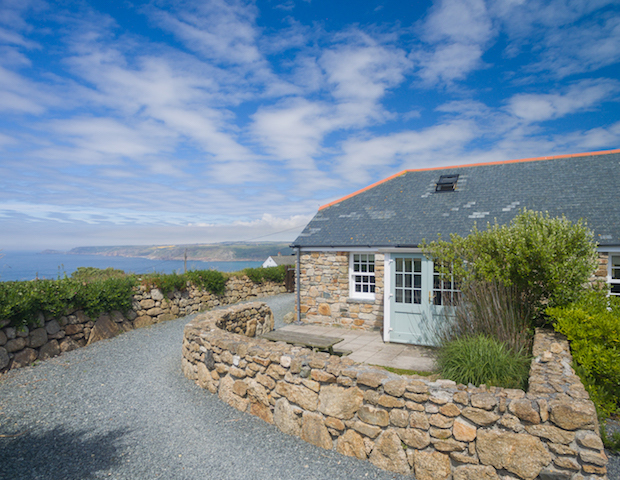 Top Cottage really is a great choice for a holiday in Sennen Cove and exploring West Cornwall. 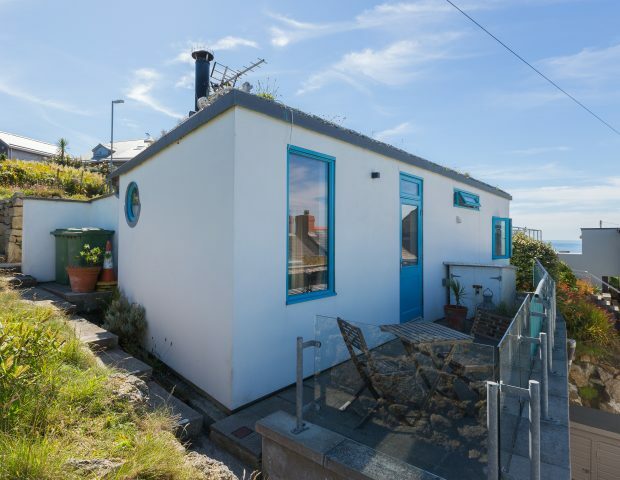 The house was even better than we remember !